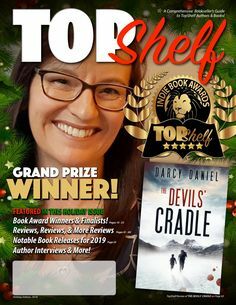 The gift that keeps on giving, right on time this past Xmas: My novel Sweet Glory won FIRST PLACE for Historical Fiction (set in American Civil War times) in the 2018 TopShelf Indie Book Awards!!! You can find it displayed on page 17 at this link for TopShelf Magazine’s 2018 Holiday Issue. There will be a review posted in a forthcoming issue, which I hope to share with you all! I can’t possibly describe how truly blessed I feel to have my first brain child (novel) Sweet Glory continuing to find its way in the world of books, and I truly appreciate all of the support it has garnered from its readers over the years. Hope everyone’s 2019 starts with their own sprinkles of magic! « Sweet Glory & Train to Glory (Books 1 & 2 of Glory: A Civil War Series) On Sale! Sweet Glory & Train to Glory (Books 1 & 2 of Glory: A Civil War Series) On Sale!